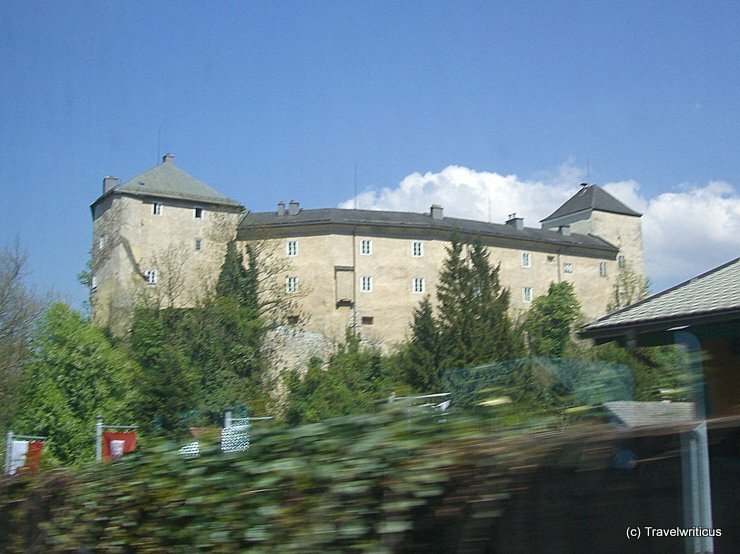 On a train journey from Bischofshofen to Salzburg, I took this photo of Golling Castle (Burg Golling) through the train windows. The castle houses a museum of local history. This entry was posted in Castles, Railviews and tagged Austria, Golling / Salzach, Salzburg, Tennengau by Travelwriticus. Bookmark the permalink.